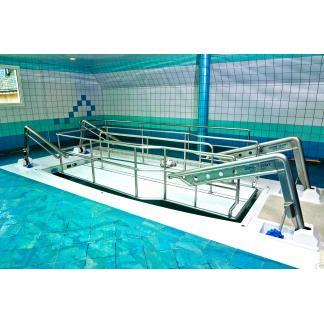 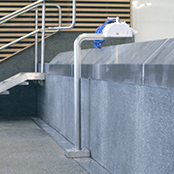 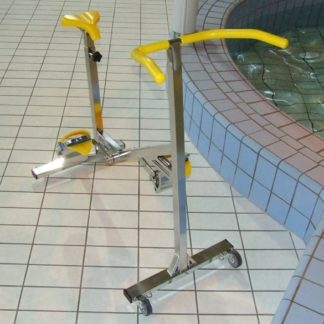 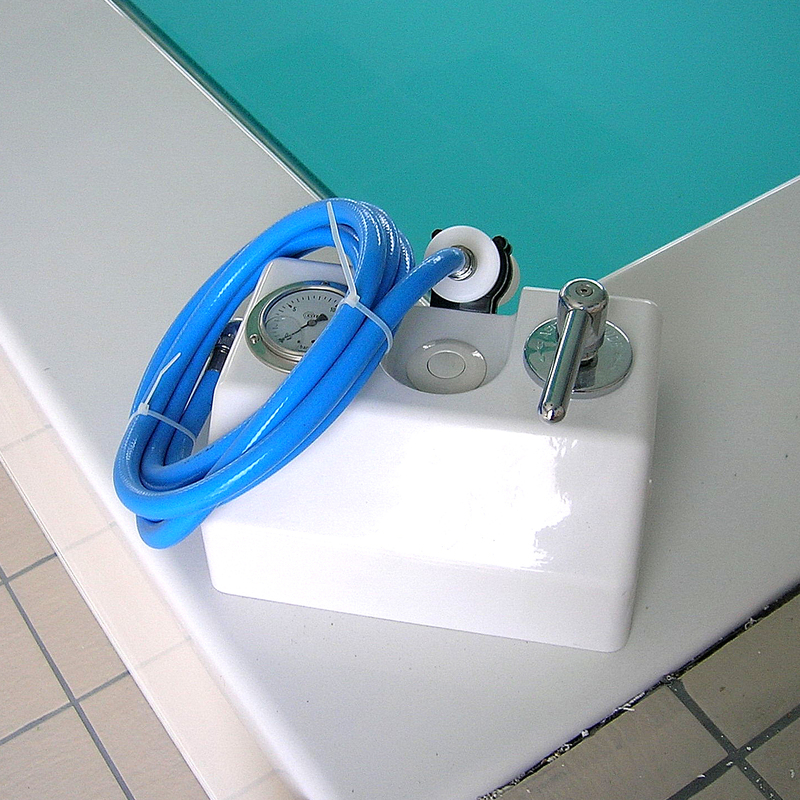 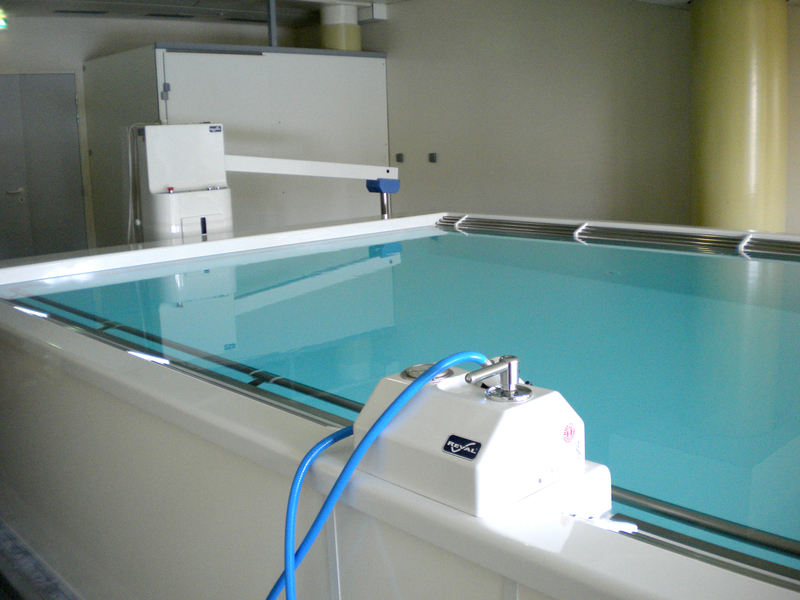 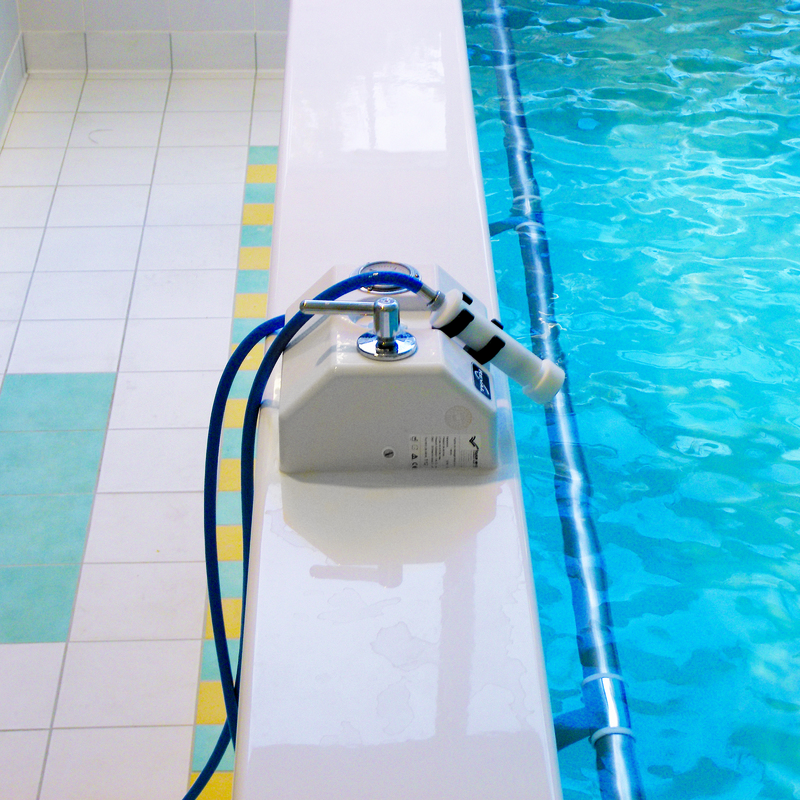 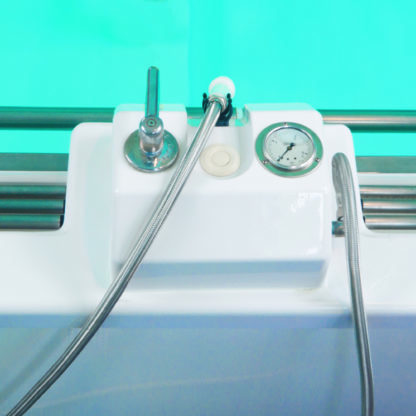 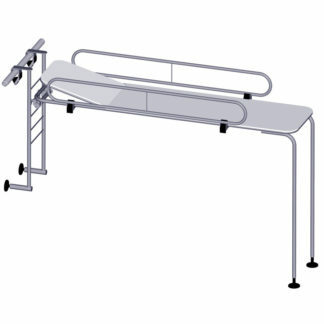 The hydromassage unit includes a control panel placed at the edge of the pool or fixed on a stainless steel support (option 1098.10), an overpressure group placed in the technical room and the piping group. The suction of the pump is connected to a est Ø50mm valve, needed, on the suction of the filtration group. 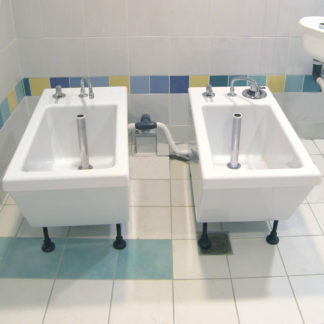 The discharge of the pump is carried out through the lance of massage, the pressure being regulated by a control valve.